First of all, spectacular site! 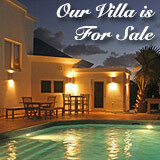 You're providing a great service to Anguilla - especially to the local businesses. I think your reviews are down to earth and exactly what people who have never been to Anguilla (like myself) are looking for. You're clearly passionate about the place and it shows. I have no idea if you're too busy to give me a quick answer to a couple questions I have - and if you are, no worries at all. I made the last minute decision to head to Anguilla during the week of Aug 23rd. I know its the off season, but in a way that appeals to me. I've never been to Anguilla before, and I've narrowed it down to three hotels: the Viceroy, CuisinArt and the Cap Juluca. There's plenty of info on the CuisinArt and Cap Juluca - including your overviews, which were very helpful, but there is not a lot out there on the Viceroy as it is so new. I wanted to see if you had been over there yet and if you have any opinion or heard anything from others that are knowledgeable about the island. The second question I have is regarding a ferry over from St. Maarten. The issue we've got is that our flight doesn't land until 7:50 pm (we are coming in from San Francisco, so getting in earlier isn't an option). By what I've read, it looks like our only option would be a private ferry for nearly $500. I'm fine paying that if that's our only option, but it would be great if there was some other way over. If you have any suggestions it would be very helpful. Thanks Nori, keep up the great work! Nori's Reply: Mike, thank you so much for your kind words! I am so glad to hear that my stories have been so helpful. I've uploaded some photos of Viceroy to round out your report. You will love Anguilla in the off season. It is ever so tranquil at the end of August. You are well into peak hurricane season (end-August/September/early October). Keep your eye on stormpulse.com. It has almost become a sport for my parents to watch this site and see what is forming off the coast of Africa. Sure, many restaurants do close, but many are still open. Plus, the off season has the hottest hotel deals! Cap Juluca has the most unique feel. With Moorish architecture, and a beach virtually all their own, you feel worlds away. This Anguilla resort was built in the 1980s. They recently renovated the exterior of the resort and it's spectacular. The rooms are a bit rustic for the cost, though. They are currently closed and undergoing further renovations to polish and finish up those rustic interiors. It will once again be the jewel of Anguilla. CuisinArt feels more familiar, with Four Seasons-type/North American high-end furnishings and architecture. It has been our favorite high-end hotel when we stayed here (before moving here). Their restaurant is one of the best "resort restaurants," featuring the freshest vegetables grown in their on-site hydroponic gardens. They are on one of the best big beaches in Anguilla, Rendezvous Bay. Breakfast on your terrace is special. 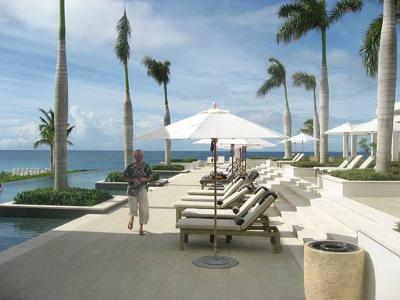 Viceroy is the latest addition to the five star Anguilla resorts. Viceroy opened late in 2009. They were off to a rough start over that Christmas season. They have, though, been ironing out the kinks, refining the details, bringing in new management teams. They took me on a complete tour of the facility and I must say it is much nicer than I originally thought. When it was being built, it looked like this huge concrete jungle. 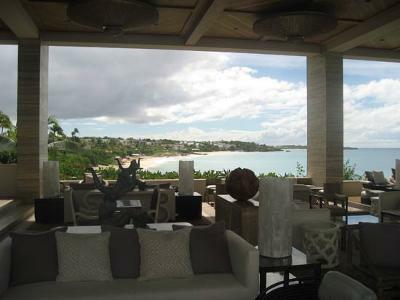 But now, this Anguilla resort is visually stunning. The finishings are ultra-high-end, the landscaping extraordinary. I've been remiss in not publishing my complete review on this. I have uploaded some of our Viceroy photos in the meantime. On a cliff, it straddles two of the best beaches in the world (Meads Bay and Barnes Bay), with the main restaurant and the Sunset Lounge in the central area, out on the promontory between the two beaches. We have gone several times to the Sunset Lounge for a light meal and drinks. A terrific spot with wonderful views and surprisingly good sushi (not up to higher end New York standards, say, but perfectly good). Be sure to try my sister's favorite dish, their spicy shrimp! The Sunset Lounge has quickly become one of our favorite spots. The resort's location is truly special. The decor is modern. Think Miami. Tall palms sway, the negative edge pool provides cliffside swims with endless views. It is a stylish spot. Viceroy had some mixed reviews at the start. But management has listened and improved in many areas. They know how to say "sorry", with generous upgrades. Service is improving. You will be well taken care of. Please do feedback here with your own review if you stay at Viceroy. My recommendation? 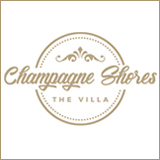 Negotiate a villa for a room rate if you can. It's summer and you can get some great deals. If you can land that, take Viceroy. 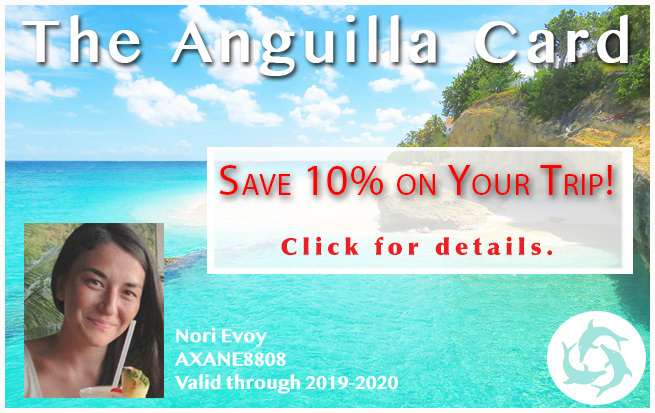 In terms of your flight to Anguilla, I assume you could not fly to Puerto Rico and arrange a flight with one of Anguilla's smaller airlines that flies to Anguilla a few times per day. 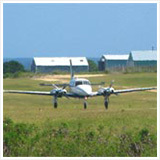 Cape Air starts, too, in December, from Puerto Rico. But that's too late for you. So I'll assume St. Martin was "the only option." Unfortunately, even the $500 private Caribbean charter is not a legal option, as far as I know. I've heard of folks bending the rules, but officially, even the private "taxis" and private charters cannot travel past that time either because Immigration closes after the last ferry to Anguilla comes in. So there's no way in. Take a cab over to the French side and stay at L'Esplanade. Enjoy an evening on the french side of St. Martin. Then take the public ferry over to Anguilla in the morning. My parents really enjoyed the 2 nights they stayed there (never did an official review, though). 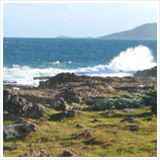 For information on visting St. Maarten and St. Martin, click here. Thank you so much again, Mike. 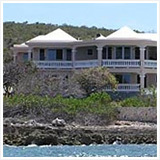 I would love to hear all about your travels to Anguilla when you get home! CuisinArt's Rendezvous Bay is the perfect, prototypical crescent-shaped beach with a gentle slope. An excellent walking beach, here's the full beach walk. 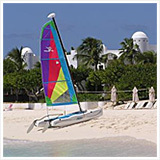 Viceroy offers two beaches, Barnes Bay and Meads Bay. Barnes was the first beach we ever stayed at, so has a special place in our hearts. Shorter than Rendezvous or Meads, it has its own special charms. Meads Bay doesn't have that perfect crescent going for it and the slope is steeper, but it does have many other features that make it the favorite of many visitors. Nice and long, and often with outstanding waves, it is home to some the island's best 5 star restaurants and Blanchard's terrific BeachShack. 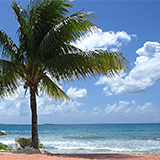 Check out the Meads Bay's beach walk. You sound a lot like my Dad. When staying at a beach hotel, the beach is as important as the hotel. Both hotels are outstanding. In terms of beaches, it's a tossup. Viceroy or CuisinArt? BOTH Top Notch! It's a shame when conversations become polarizing. In fact, both are wonderful places to stay. 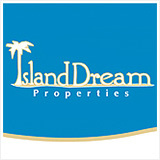 We've eaten at all their restaurants, toured Viceroy Anguilla in depth and stayed at Cuisinart Resort & Spa. I've taken extensive landscaping tours of Cuisinart with the head groundskeepers. Their work is more intricate and thought through, with a greater variety of plants arranged according to a variety of micro-climates. Both feature gorgeous rooms and suites. As long as Viceroy keeps selling them for a fraction of rack rate, they're going to be hard to beat. But Cuisinart's more intimate location right on the sand of Rendezvous Bay, in rooms that are constantly upgraded, compete hard for top hotel in Anguilla. In the end, it boils down to personal preference and price. Negotiate for a price at CuisinArt for as long as Viceroy tries to take market share with its pricing strategy. 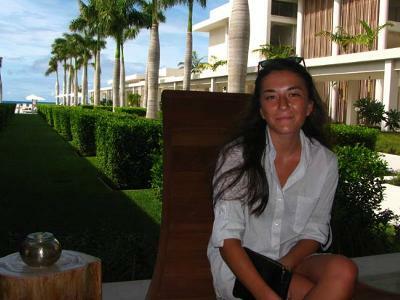 I suggest that you stay at one hotel, one year, and the other on the next vacation. Then decide your "home away from home." You simply can't go wrong with either. I hope this helps balance the conversation and tone it down, as well. 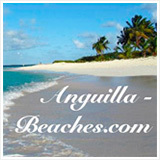 Anguilla-Beaches.com is a friendly place. Pleaes keep it that way. Thanks very much. Anonymous, Are You Kidding Me? Have you looked at the rooms, the pools, the beaches, the restaurants, and the landscaping of CuisinArt in comparison to the Viceroy? They're not on the same level. The Viceroy is über-luxury, considered one of the finest, if not the finest hotel in the Caribbean. I mean, yellow and blue couches with brown tiles compared to Miami chic? Not even close. Spend one night, and you'l be embarrassed that you once even thought about saying what you said in those comments! I like CuisinArt, too, Anonymous. But I can't agree with your comments about Viceroy. We've lived on the island for 2 years now. At first, like many people, we didn't like the look of the place, either, AT THE TIME... a huge mass of gray concrete. But now that it's painted, landscaped, and totally finished, it's the ultimate in luxury. And, as we chat with folks who live here, too, many realize that they didn't give it the full and fair chance of "waiting until it's finished." Now that they see it, walk around, try a meal there, more people are starting to "get it." I think it's a great addition for a certain high-end of the market that enjoys 6* international-style hotels. Nori had a very nice walk-through and will be publishing a full review shortly. In the meantime, I was lucky enough to tag along. Viceroy is incredibly luxurious. They had a rocky opening period in Christmas past. They handled the problems well, for example upgrading folks from rooms into villas. They listen, too. 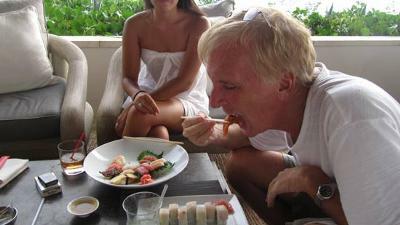 One small example... we (along with others, I guess) told them that the sushi/sashimi plate did not give enough value. Now it delivers a generous portion. Janice and I love the Sunset Lounge. It's growing into one of our favorite spots for a light dinner, sunset and a beautiful view. One point to note: The debt was sold to Starwood recently. I hope Viceroy continues to run it. 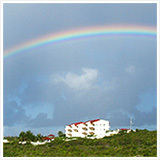 But no matter what, it's one heck of a hotel that should do Anguilla proud. Don't go to Viceroy, the people on the Island don't even like it, it is a monstrosity! CuisinArt is the nicest place, the people are so warm and accomodating, they couldn't do enough for us. We just came back from a memorable trip.